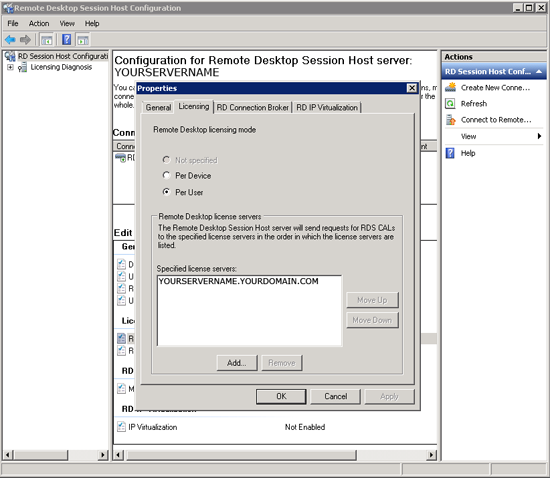 A couple of months back I put in a 2008 Terminal Services Server, or Remote Desktop Services as it’s now called. I installed the Licensing server and successfully added in the licences the client had purchased, but a while later he rang to say he was having licensing issues. 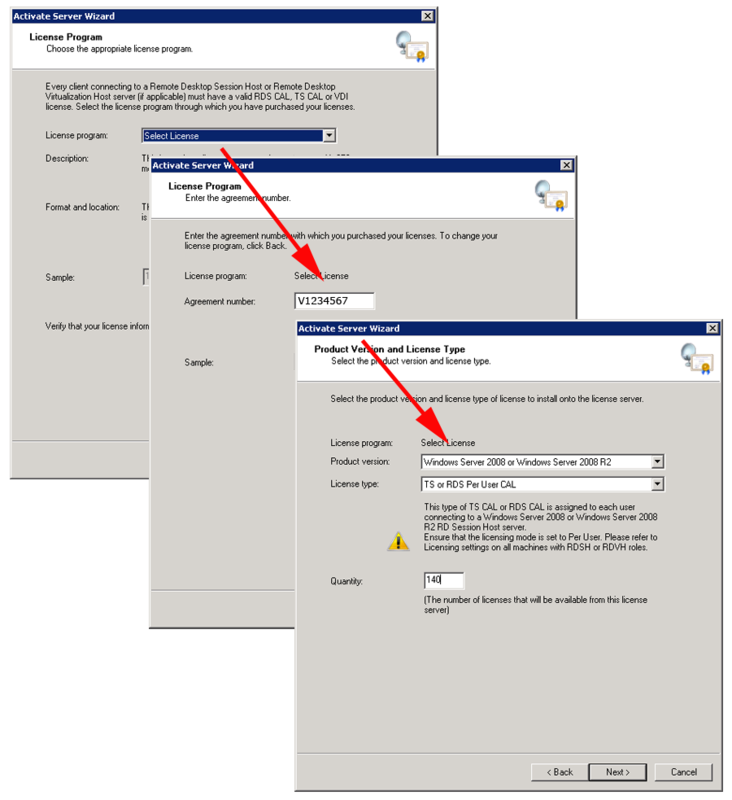 Note: The Windows 2000 Server Built in TS Per Device unlimited licences are a throwback from earlier versions of windows that had a CAL on the client. (Primarily Windows 2000, but some XP clients purchased in a particular time range slipped under the bar as well). As it turns out there’s one more step to carry out on Server 2008. 1. 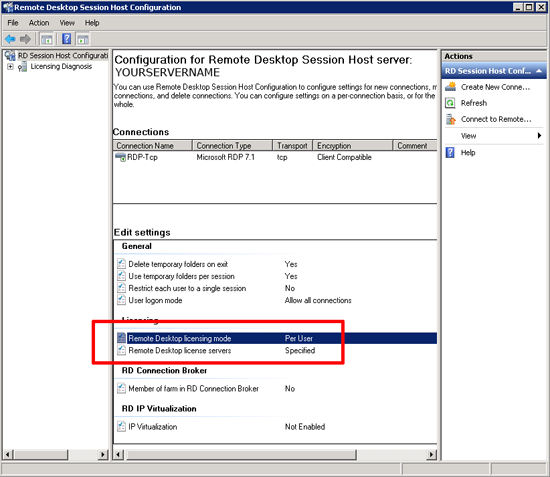 Launch the “Remote Desktop Services Host Configuration” console, and check the licensing section, it should give the licensing mode as “Per User” or “Per Device“. In my case it said “Not Specified”. It should also say a licensing server has been specified. (If it does not double click the incorrect entry). 2. Change the licensing mode and/or add a licensing server as required. Per User or Per Device? Per Device: CALs for the device get stored in the registry of the machine/device that access’s the TS/RDS server. When issued it expires after a number of days (a random number between 52 and 89 days) at this point it’s freed up to be issued again. Per User: In this mode the CAL is issued to the user, if one user logs onto multiple devices you only use 1 licence. Note: As a rule of thumb if you have more devices than users, choose per user. If you have more users than devices then choose per device. You will need your select agreement number, and the amount of CALs you have purchased.